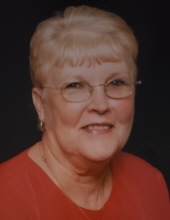 Ruth Ann McClain Porter, loving wife and mother went to be with the Lord on April 12, 2019. She is the daughter of Rolley S. and Thelma J. (Cameron) Jordan of Kanawha Co., W Va.
Ruth graduated from high school in 1956 and graduate from college in Rio Grand, Ohio. She had worked in funeral service with her husband, Ronald L. McClain, who proceeded her in death, at McClain Funeral Home in Anderson. She loved going to church, crocheting, and singing with her family and friends. She also enjoyed watching her husband teach the grandchildren how to play guitar and have poems read to her. Ruth is proceeded in death by her sons; Robert Lee Taylor of Pike Co, Ohio and Anthony Wayne Taylor of Anderson, IN. Ivan Paul Bowling Jr of Ohio, Ronald L (Julie) McClain II of Anderson, James D. (Donna) Porter of Mooreland, and Samuel R. (Jackie) Porter of New Castle, and daughters; Penny D. (Rex) Stamper of Ohio, R. Paulette (Tim) McClain Kellams of Anderson, and Kimberly D. Porter of New Castle, along with several grandchildren and great grandchildren that she loved with all her heart. Visitation will be ‪from 4-8pm on Monday, April 15, 2019‬ at Macer-Hall Funeral Home and Cremation Service in New Castle. The funeral service will be ‪on Tuesday, April 16, 2019 at 11am‬ at Macer-Hall Funeral Home and Cremation service with Rev Thomas McCarrol officiating. Burial will follow in Maplewood Cemetery in Anderson. To send flowers or a remembrance gift to the family of Ruth Ann McClain Porter, please visit our Tribute Store. "Email Address" would like to share the life celebration of Ruth Ann McClain Porter. Click on the "link" to go to share a favorite memory or leave a condolence message for the family.